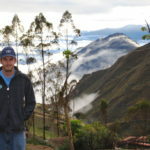 Before coming to Bolivia, only one thing was certain: the time I spent here would be interesting, for good or bad. Having spent the better part of half a year here already, I can attest that this is the absolute truth. I came here expecting to be an engineering intern and have found myself serving the roles of lawyers, translators, drivers, construction workers, administrative staff, negotiators, AND engineers. Simply put, a day in the life can find you hiking around projects at over 15,000 feet, meeting with directors of international aid groups, or haggling with a local over the price of a material. Likewise, even within a single project, you might handle problems which land themselves within the fields of construction, civil, mechanical, environmental, process, or chemical engineering. Within ONE project. Most importantly, the projects all have one goal: to provide the gateway for enfranchising the poor into the rest of the developed world. Here, you’ll be working directly with and for the billion people who live on less than one dollar per day. The purpose of EIA’s work is extremely important and it is what I believe allows each one of our staff to overcome the tremendous adversity we come across time to time. That’s right, adversity. Funding can get canceled, transportation can be blocked by strikes, suppliers can go back on their word, beneficiaries can become uninvolved, staff can get sick, and projects can go wrong. These are the harsh realities of working in Bolivia, as with any other developing country. The projects here bring out the Latin root word for engineer which is ‘ingenium’, or cleverness. That’s because no matter what setbacks occur, what data is lacked, or what choices must be weighed, the direction is always sideways or forwards. Never backwards. As for my time here, I’ve experienced some of debilitating and frustrating blows to the projects I’ve been on. But that said, there is always a solution, however obscure. It’s these experiences which I’ll take with me when I leave. An intern should not just expect challenging, rewarding work, they should expect to look back and see a long series of instances where they’ve risen to meet the challenge. And no matter what happens on a project, at the end of the day, you’ll have the faces of those you’ve helped to hang your hat on. 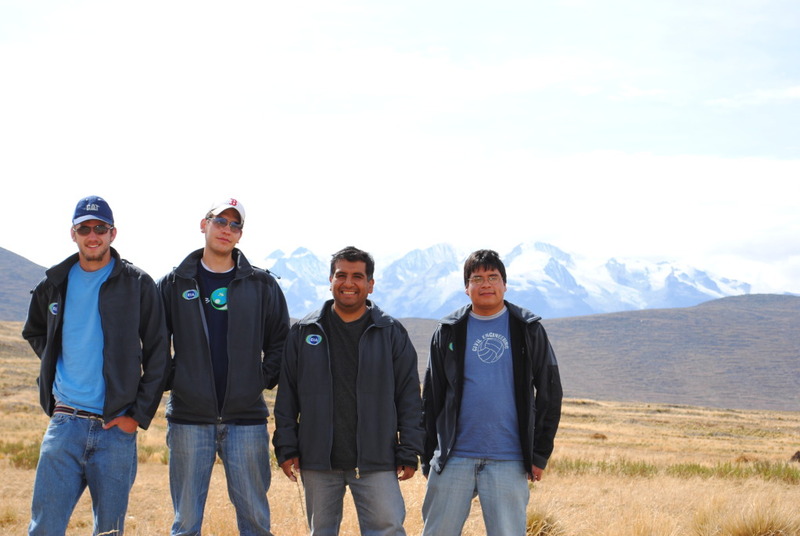 First of all, I want to say that Engineers In Action (EIA) is a great tool that every EWB group doing a project in Bolivia should use. 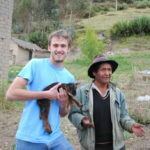 During my two months stay in La Paz as an engineering intern at EIA I got to see what the true purpose of this organization is, got to meet everyone involved in this great project, and got to see how EWB and EIA working together produce a much better outcome than what they would accomplish each on their own. The first few weeks I worked on buying materials and delivering them to Azacillo for the EWB-KU chapter. They were long days of sometimes 12 hours of work mostly spent in a truck delivering materials to a remote village (Azacillo). Once the purchasing of materials for that project was done, I spent time in the office which allowed me to experience what is done at the EIA office. I would prepare documents which included the recent prices on the materials bought for the KU project. I would also help with any document that needed to be translated. I met the EWB-KU and we had a couple of meetings with them to go over some price and material details. During my first month we also went to the Staff Retreat in Rio Selva. I think the retreat was a great thing not only for the relaxed weekend that we got to spend but we also got to know each other better, and came up with innovative ideas and suggestions that benefitted EIA greatly. 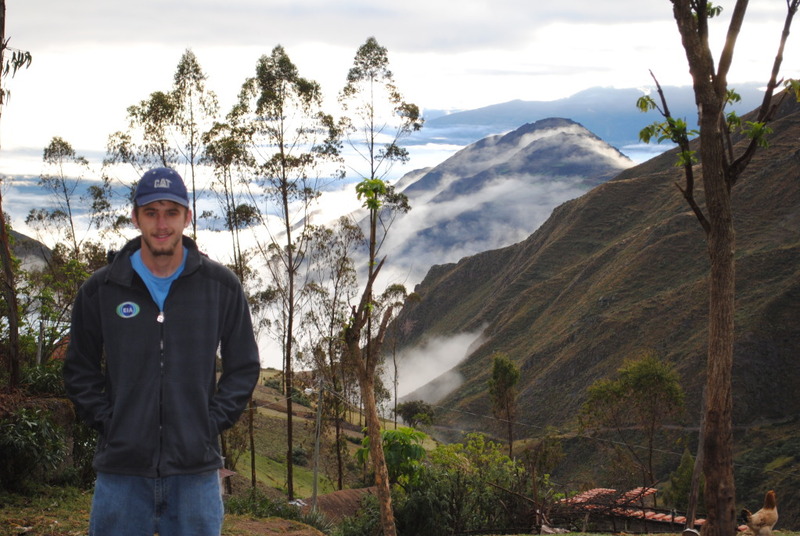 During my stay I also helped with the follow-up of the Missouri Science and Technology University latrine project in Inca Katurapi. I met with the Secretario General, the Council and the latrine committee. We got to discuss what the main problem was and why the latrines had not been yet completed. We reestablished a relationship with the community who seemed to have lost faith in the project. We promised to provide the remaining materials for the remaining latrines as long as they would commit to destroy a pit latrine they had built next to the public latrines by the school. Before I left we went with Ruben as well and we determined that an education workshop would be good to do at the school in Inca to teach the professors and school leaders how to use the latrine. I also spent time travelling to different villages in the La Paz area like Tacachia where there was a water distribution project that was advancing. I also tried to meet with community leaders in a town near the Titicaca Lake to try to get information to start a new project with water treatment on a river that has been fed by mines and appears to be contaminated. Overall my internship this summer turned out to be a positive and rewarding experience. I met great people, got to get involved in amazing projects, and left with many lessons learned. The staff at EIA is really great. Everyone treated me very well and in one way or another tried to make me feel like home even though it took some time for me to get used to the cold weather. They all are great people and are very professional once it gets to getting the job done. 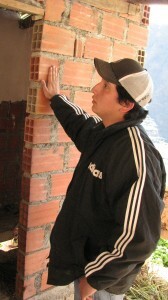 Engineers In Action is a project that will help improve thousands, if not millions, of lives in Bolivia and around the world. I feel honored and proud of being part of it and I want to thank you for this opportunity. This internship is not like any other, you have to work hard and put in many extra hours but its all worth it once you get to the communities and experience firsthand how these projects are actually improving lives. You have the opportunity of not only helping EWB groups preparing and building their projects but you also get to stay in the country after the groups leave and experience the real impact these projects have on the communities. You establish relationships with the people of the community and they start getting to know you and this is amazing. . 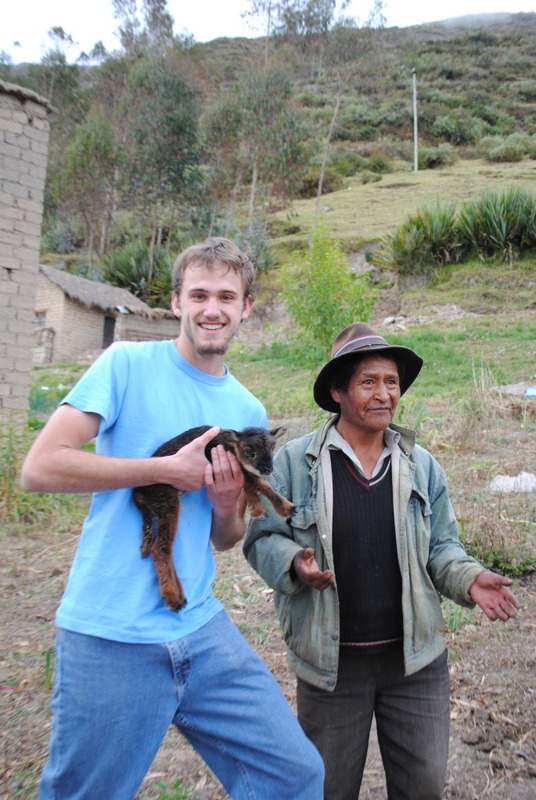 I believe and trust in what EIA is doing so much that I have recommended Mercer University to do their first EWB project in Bolivia with the help of EIA. This experience has made me not only a better professional but most importantly it has enriched my soul. There is no better feeling than going to sleep exhausted after a long day of work and manage to keep a smile on your face because you know you have made your part for the day to make this world a better place. In 2006 I made one of the best decisions of my life, to go to a meeting. I went to learn about a place called Inka Katurapi in the rugged mountains near the Altiplano of Bolivia. Months later I would find myself gasping for oxygen and sipping coca tea. This was the start of it all for me, and when I learned of a chance to return and spend several more months in the mysterious and beautiful country that is Bolivia, I jumped at it. 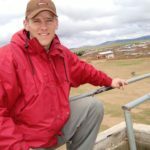 Having worked on multiple EWB projects as a student at Missouri S&T, I become very familiar with the process and workings of the projects from our side. I was constantly in contact with the NGOs we worked with in order to keep things moving along as smoothly as possible. So for me, it was a very interesting proposal to work from the other side, trying to help out the student and professional EWB chapters with their projects. Some of the frustrations or complications I had experienced as a student team leader had given me a good base of things to focus on while working with the chapters. At the same time I truly began to appreciate what the NGOs like EIA had to deal with in order to make the multitude of projects a success. While interning for EIA I think we had over 10 active EWB projects, with 6 of them coming in a matter of one month! This can create a logistical nightmare, especially in a country like Bolivia where things don’t always get accomplished when you’d like them to. That’s why patience, persistence, flexibility and a positive attitude are of the utmost importance. Sometimes things can get frustrating, but with the right mindset, it’s always fun and interesting to say the least. One of the best things about working with EIA and EWB is the amazing people you get to meet. The EIA staff, EWB volunteers, community members, the kids; everyone is simply incredible. You never know when you are going to meet someone that is going to make such an impact on you that it can change your life. That is the beauty of this type of work. I still think of the smiles and laughter of the kids I met at the orphanage in Tacachia. I remember getting my hands dirty with the community, sharing meals, dancing, and listening to them. Listening is simply the most important skill needed in this position. Listening to what people say, to what they don’t say, listening to their body language. It’s amazing how much you can learn, and how much it can help the success of a project. Because in the end, it’s not about us, it’s about them.